Evon’s denial is equal parts cute and frustrating. I really like the character design of the fortune teller. 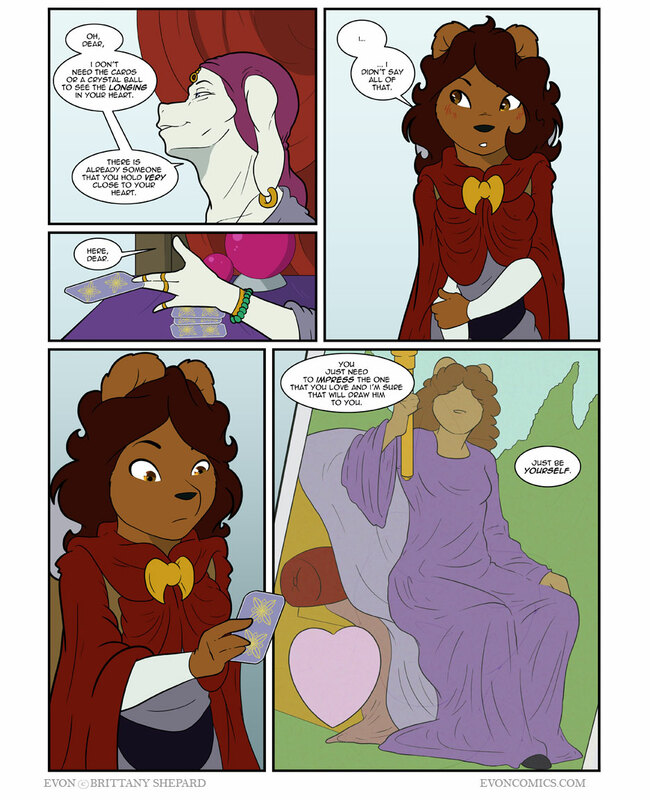 Also, I noticed that Evon has a knife sticking out of the front of her sash/belt on page 647 but doesn’t here or on the previous page. hero will meet this ‘old goat’ and get the same advice. I want to hug that sheep so hard.